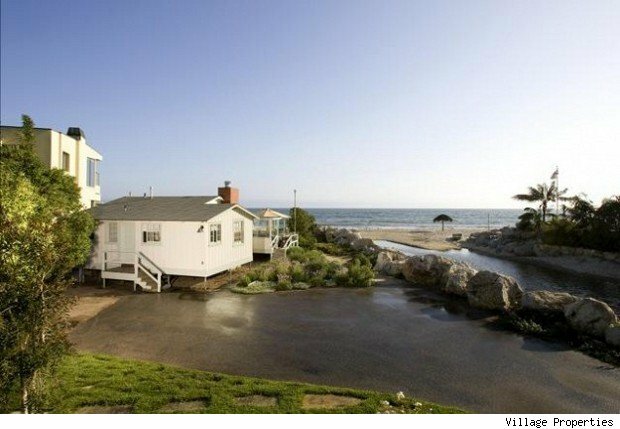 If you compare it to Candy Spelling's manse of 56,500 square feet (see photo on jump) you'll see that the beachfront shack -- listed at $5.3 million for a snug 641 square feet -- comes out to a higher per-square-foot price. 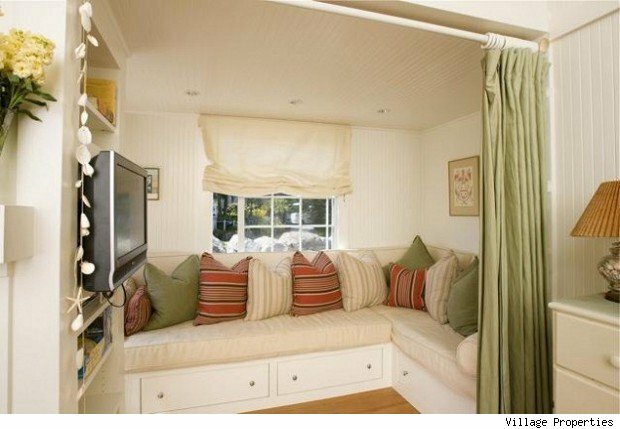 Officially, this home has just 651 square feet of space–less space than a regulation squash court. 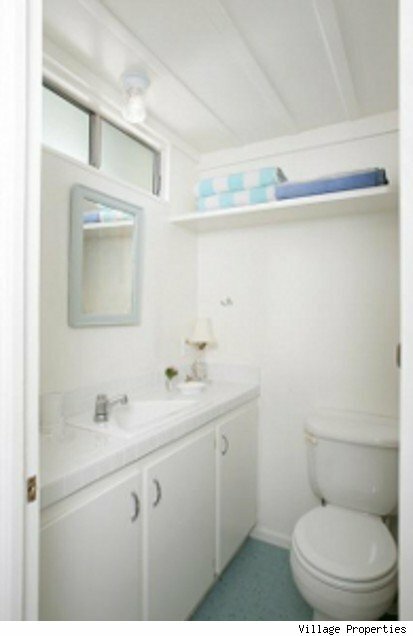 The the agent for the home, John Henderson, claims it's actually a relatively spacious 750 square feet. 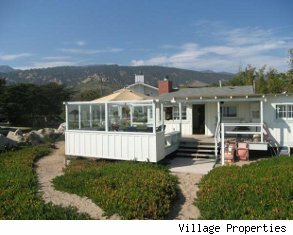 Either way, Spelling's is only $2,700 a square foot and the beach shack is around $7,000, making it the most expensive house. 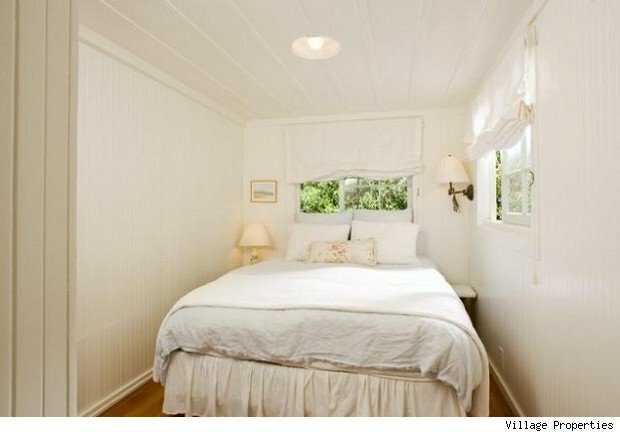 Indeed, according to a Forbes blogger, if you compare listings strictly by square footage, the shack tops the country's list of most expensive homes. Our shack does have a leg up in the view category. There's no ocean view like the one from the sand. Candyland, as real estate pundits have dubbed the Spelling home, is lovely, gated and private. It has gracious lawns that sprawl over its 4.7 acres. But not even Aaron Spelling's money could move the Pacific Ocean closer. 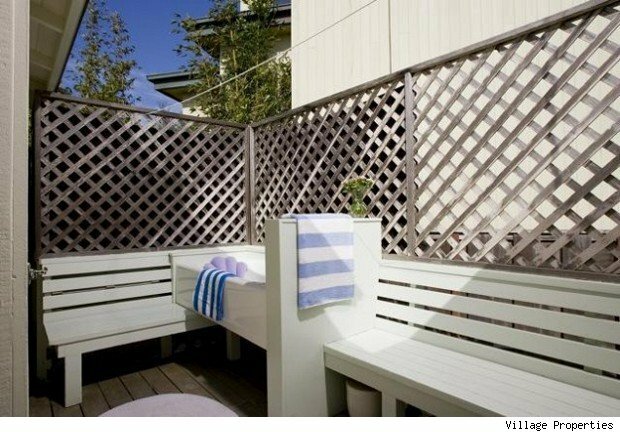 But to throw a bucket of chilled Perrier on the premise, there are always factors that impact a home's value which have nothing to do with the size of the actual shack, I mean, house: the view, location, sun angle, design, style, special features and condition all weigh in. 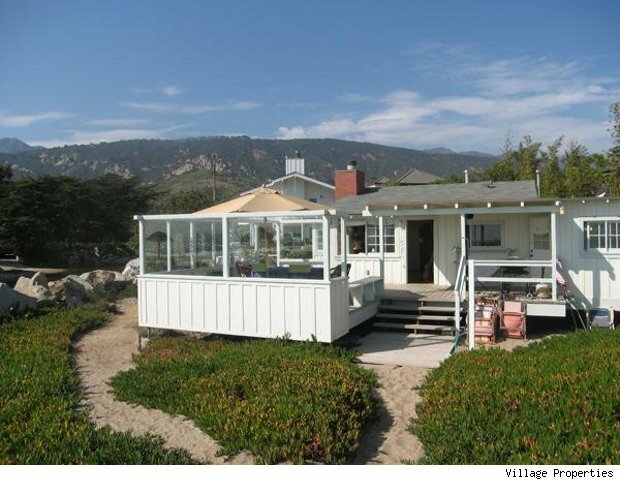 Starting with location, have you been to Carpinteria lately? Nice place for a weekend camping trip if you don't mind the roar of the traffic just outside your tent. The beach is nice enough, but you aren't going to see limos drive up here for any A-list parties. 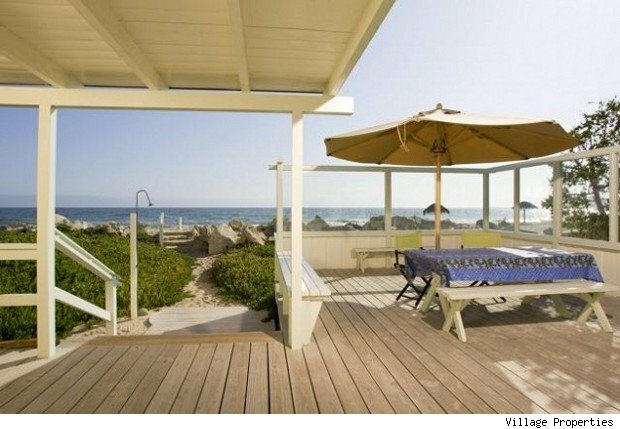 Nor will you find a Michelin-star restaurant or a single Kardashian selling anything anywhere near Carpinteria. 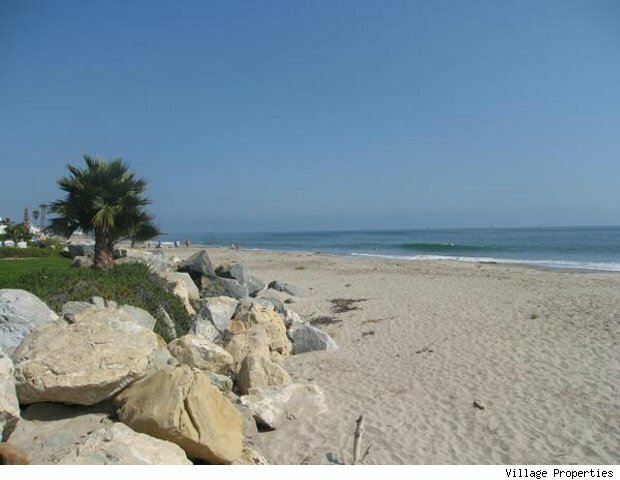 It's home to surfers, dudes in pickups, and some students who can't afford campus life at UC Santa Barbara, 12 miles away. Dudes in pickups don't frequent Holmby Hills, where Spelling kicks off her Manolos. We allow how not everyone needs a near brush with celebrity to find fulfillment in their housing. So how about design? The shack is, to put it in kind Realtorspeak, in need of TLC. 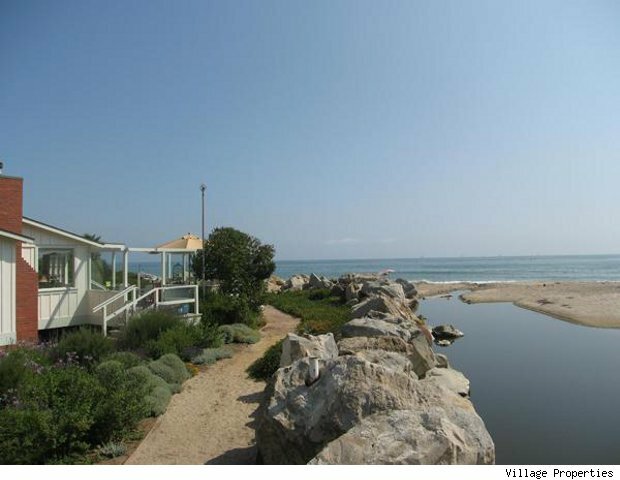 Some might say it's a teardown and what you're really paying for is the half-acre of land, the 92 feet of beachfront it sits on, and the fact that its thoughtful. Spelling's place? 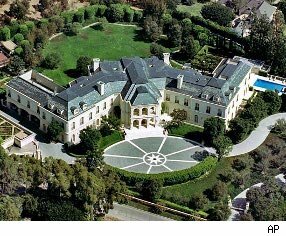 A regular palace worthy of Queen Oprah, who at one point was rumored to be buying it. It's move-in ready for even the most discriminating buyer. A housekeeping staff must dust and vacuum 24/7 here to meet Candy's expectations in the spit-and-polish department. 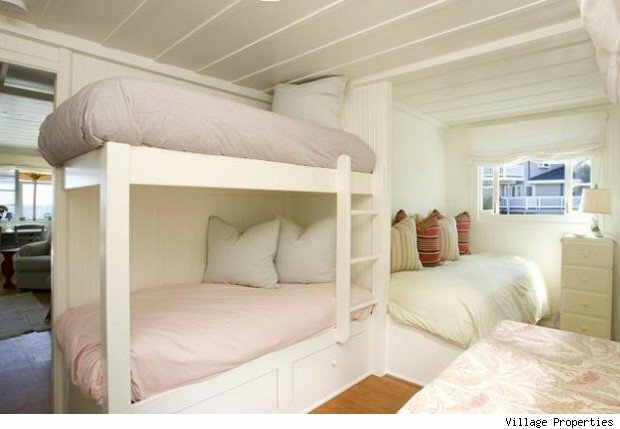 Still, how it is possible that a beach shack in a beach shacky town can command a higher price per square foot than a veritable castle in one of the country's toniest neighborhoods? Well, to state the obvious: Neither of them has sold yet, have they?